Things are starting to get a little crazy. It’s to the point where almost everything is on fire and we just need to keep the flames as low as possible while we ride out the semester (and probably the year). Everything is so demanding that we don’t even know what to focus on anymore. Everyone has their own way of doing things, but no one really knows if what they are doing it is right. Some people read everything on their own and don’t go to lectures, others only go to physio and maybe anatomy lectures, and some go to all the lectures. 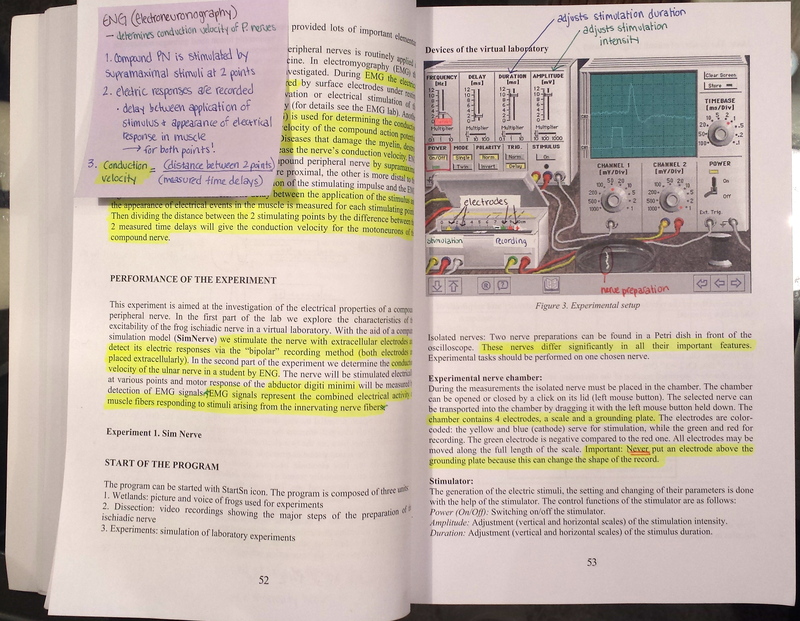 When it comes to what to focus on when studying at home – I don’t think anyone has a system yet. There is so much advice and so many tips floating around – from teachers, other students, and from people who have passed second year and from those retaking it. In the end, no two people study the same way and we just need to trust that we will make the right choice. 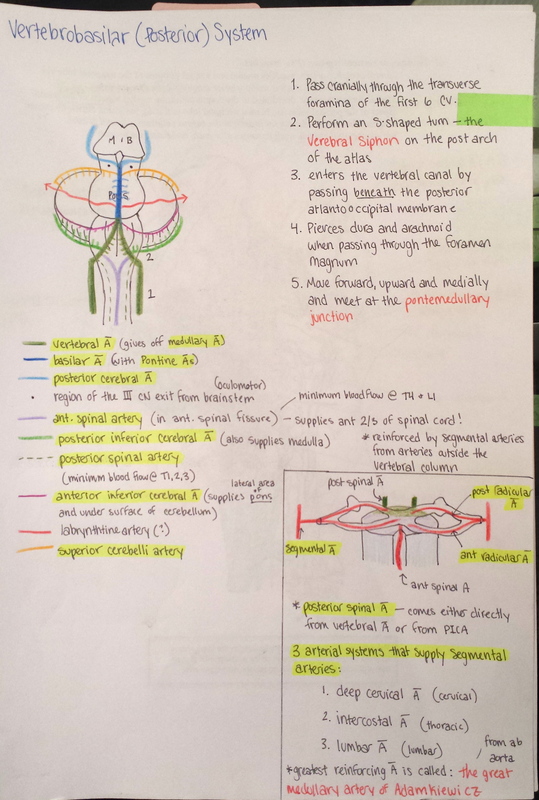 Our anatomy midterm on the brain and spinal cord is next Wednesday and at the level I am at now, I am a sure-fired fail – and I’m not alone. With our weekly double-exam in physio this Thursday, it makes it hard to know what to focus on until then. 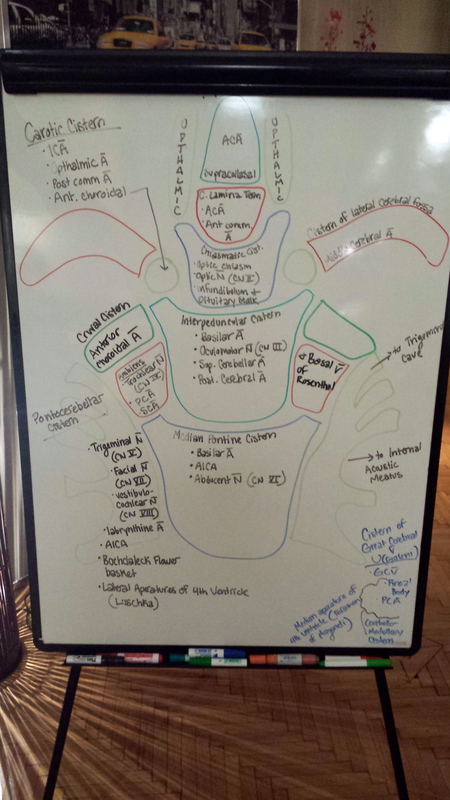 I decided that I would a little anatomy each day – even if just one topic – just to keep it on my mind. In the first week of school, I’d tried to calculate how many hours should be delegated to each class. 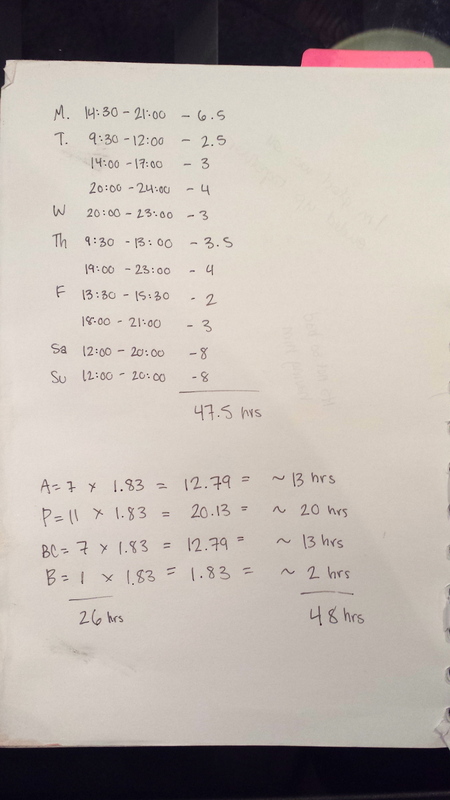 When Skjalg saw my “calculation” he told me that I was crazy if I thought I would be able to get in 48 hours of study time in addition to lectures/practicals. I’m a bit on the delusional side when it comes to what I get done and how fast I can do it, so I found an app that will give me a better idea of what I am spending my time on. It is called TimeSheet and it is amazing! I’ve set up my classes as “projects” and can use the app to track how much time I spend studying for each class. I’m a big fan of numbers, at least when it comes to assigning numerical values to things in my life, so this is perfect for me. I’m hoping that it will help me get a better idea of how I spend my time, which tasks I spend the most time on, and most importantly, how long it actually takes to get a task done. Here’s my study log for the day! Between 20:40-21:20 Jannie and I fit in a little power walk around the neighborhood. Gotta move those legs sometime! Since I started off this post with a bit of a stressful tone, I’ll close with two great quotes from today. The first was something that Noa, a girl in my group, told me after our anatomy practical this morning. She said that when she was thinking about applying to Semmelweis, she’d asked a girl who’d graduated what she thought about it. The girl told her, “they will do everything they can to break you, but in the end, it is so worth it.” Somehow acknowledging the immensity of the challenge weakened its effect. The second was something Skjalg shared with me this morning that he’d heard in a movie: stress is only anxiety about the past or fear about the future, it has no meaning in the present. 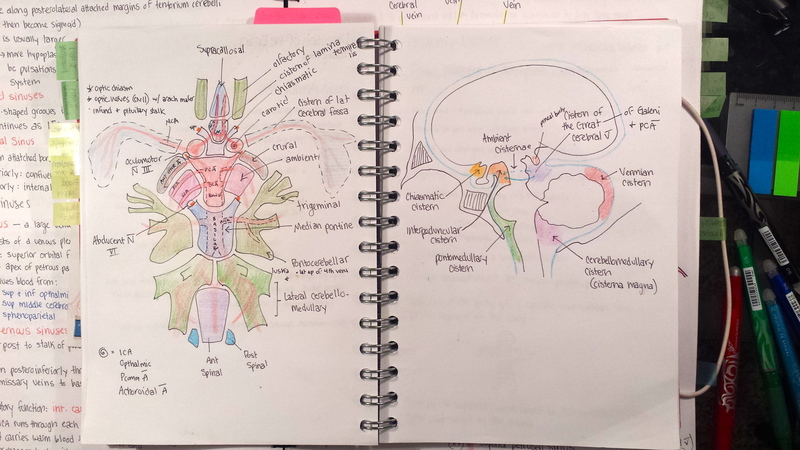 Here are some of my anatomy notes – color is my key for keeping myself entertained! 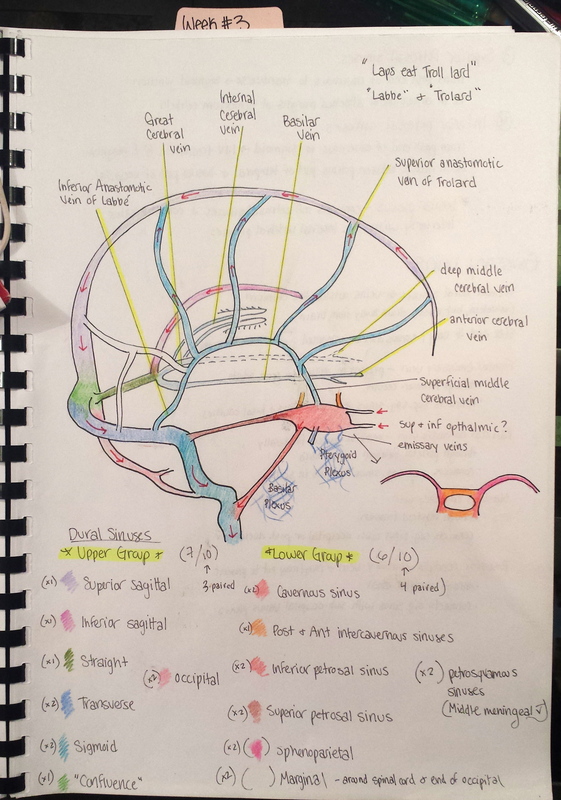 Practicing the subarachnoid cisterns with Jannie – great way to spend a Sunday night! 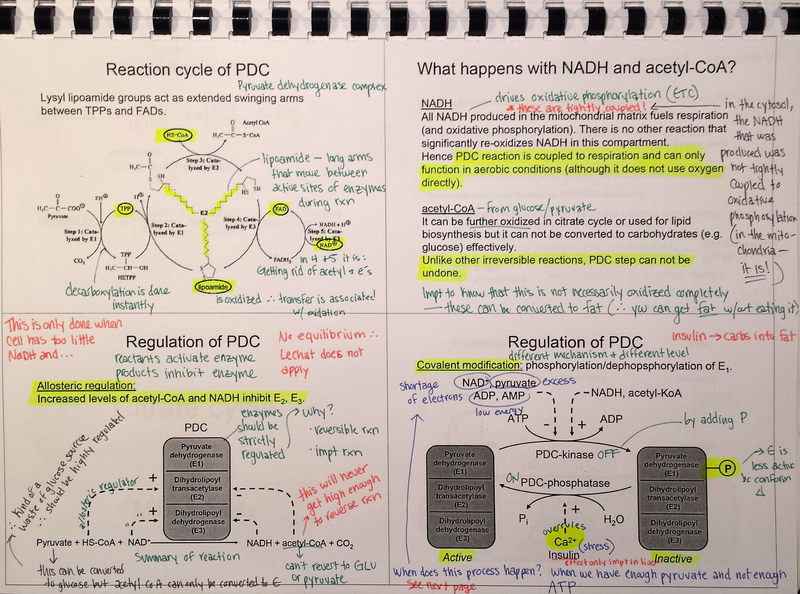 Biochem is the neglected child of the three big classes we have this semester. I have been keeping up by preparing for each of the lectures – which is working out really well! The lectures however, are starting to get a bit…heavy. 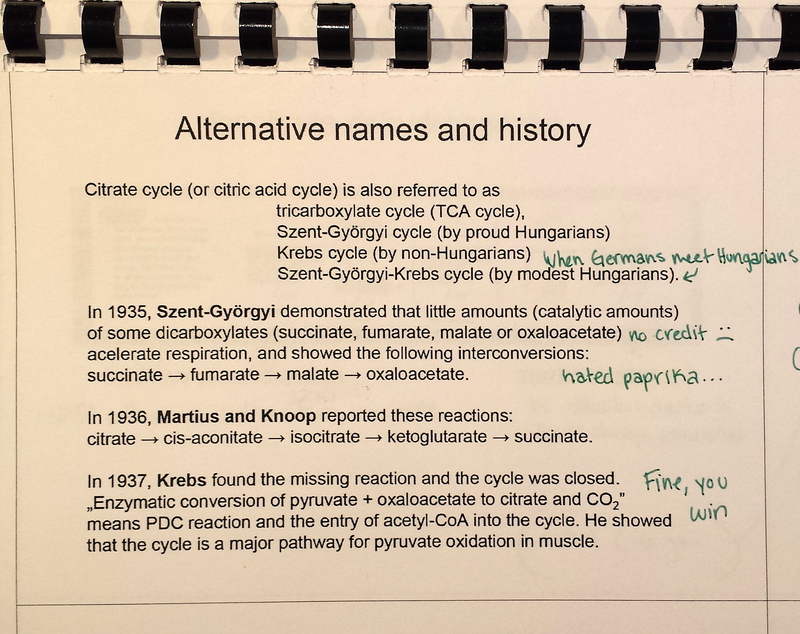 Furiously written notes from Friday’s extra biochem lecture. I had to keep switching pens to keep my notes straight! And last, but definitely not least, the big mother – physiology. 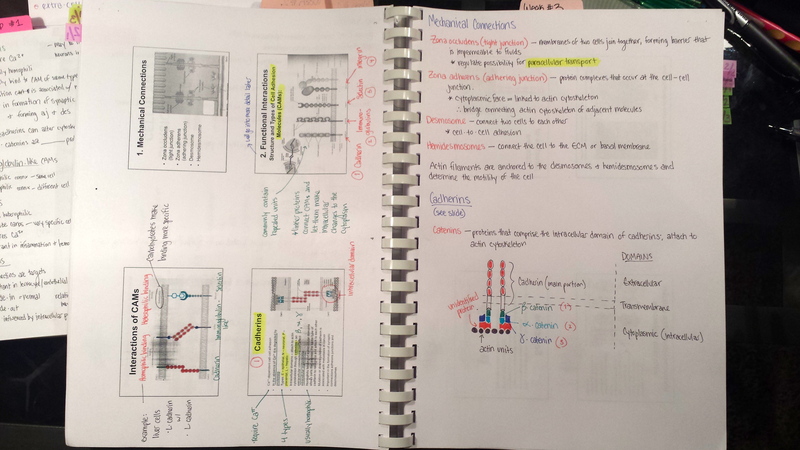 Reviewing one of last week’s lectures – on intercellular signalling – for this week’s exam. Skjalg definitely has his moments, usually when I’m becoming slightly unhinged 😉 Got 8 hours of sleep last night, hopefully that helps. Bianca, Med school gets easier. I’ll just say just hang in there, play out this year and things should get a lot more interesting afterwards. There’s always a way to get through. I hope to be seeing you next year. You are currently reading Descent into Madness at Buda-B.